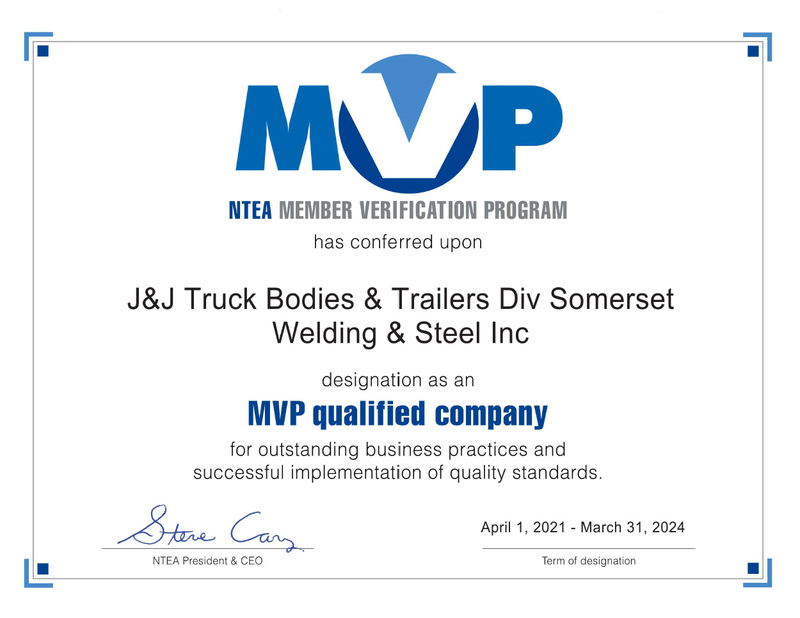 Somerset Welding & Steel’s certifications demonstrate our commitment to adhering to strict quality guidelines and procedures. We work hard to satisfy our customers’ needs, produce high quality products, deliver on time, and improve continuously. 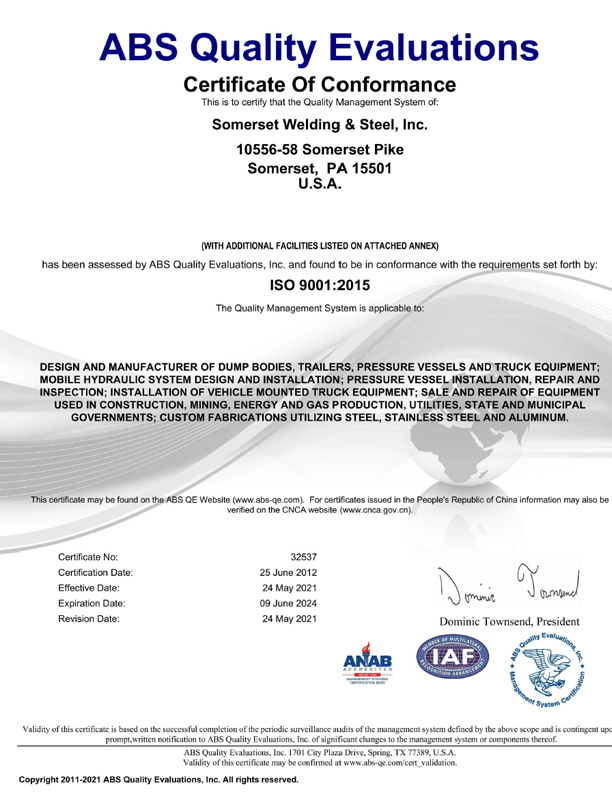 Somerset Welding & Steel has a documented quality management system that is led by a full time quality assurance manager. 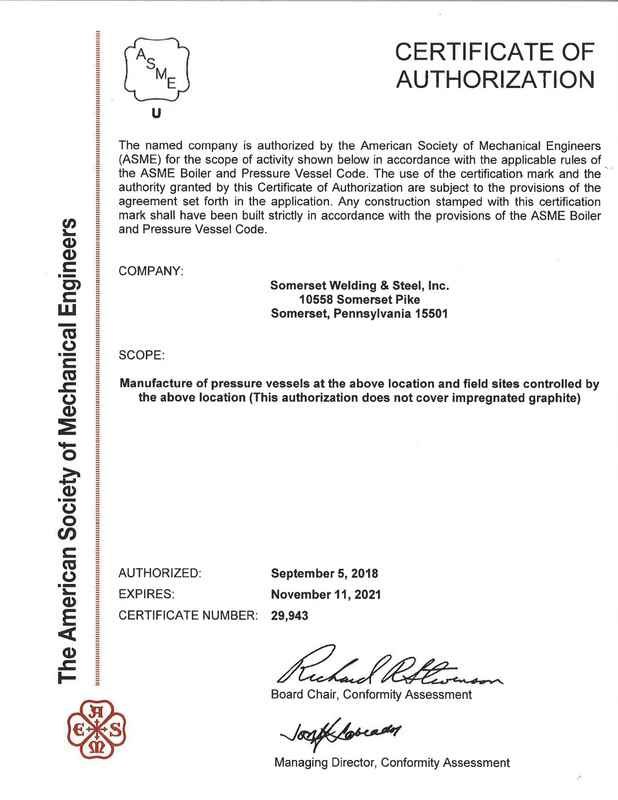 Pressure vessel manufacturing at Somerset Welding & Steel is done in accordance with the provisions of the ASME Boiler and Pressure Vessel Code. 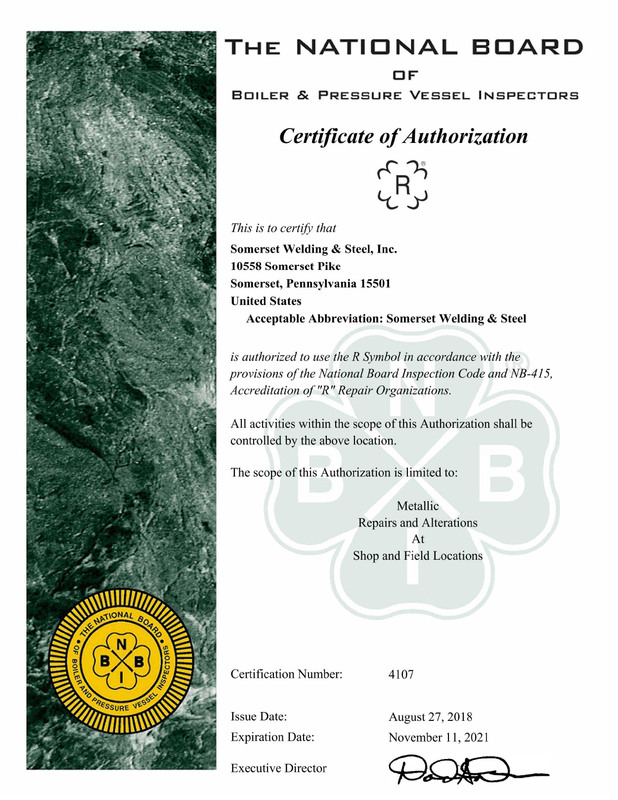 Somerset Welding & Steel is authorized to make any metallic repairs and and/or alterations to pressure vessels according to the National Board of Boiler & Pressure Vessel Inspectors. To qualify, Somerset Welding & Steel had to meet criteria that are essential to providing quality products and services to their customers. These include a current registration with the National Highway Traffic Safety Administration, a minimum of 1 million dollars in insurance coverage, and proof of an in-house audited quality system.